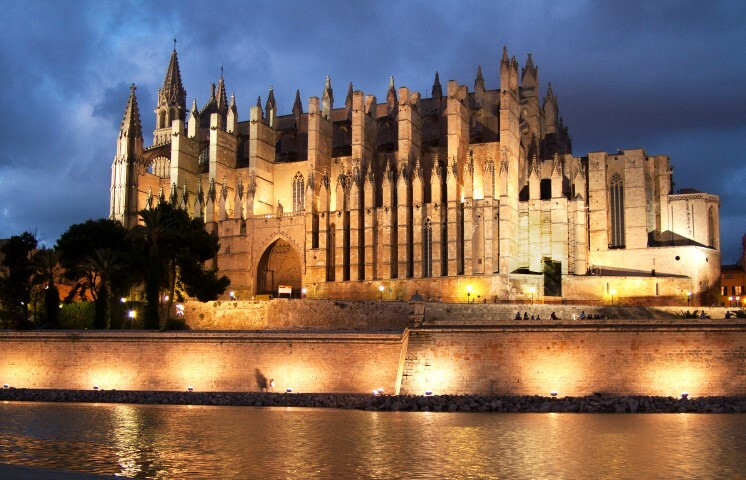 Majorca (or Mallorca as it’s known in Spain) has become Europe’s number one holiday hotspot, with an estimated 3-4 million tourists visiting each year. With guaranteed sunshine throughout the summer, beaches of pale golden sand, clear waters and sheltered bays, this little Balearic Island has not surprisingly beaten the likes of Blackpool and Bognor well into submission. 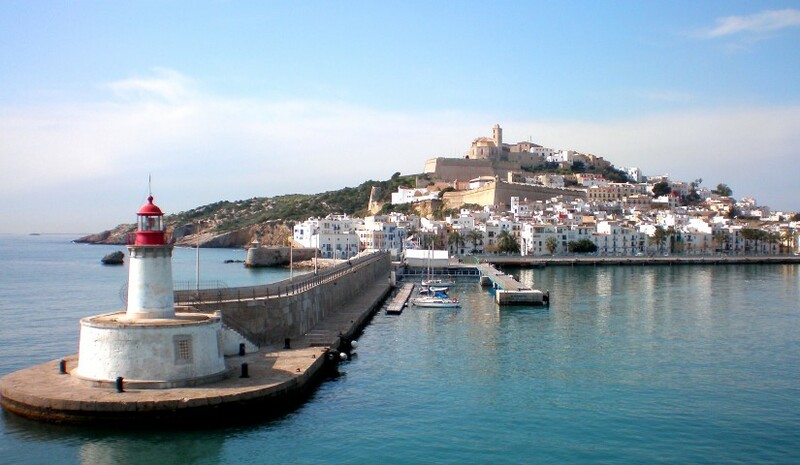 On top of these immediate charms, the conditions are also excellent for water sports, the nightlife tries to rival nearby Ibiza’s, and there’s an impressive variety of physical beauty for nature lovers, too. While there are sections of the coast where tourism has done its worst (high rises and shopping centres), this is largely concentrated around the Bay of Palma in the southwest and easily left behind if need be. 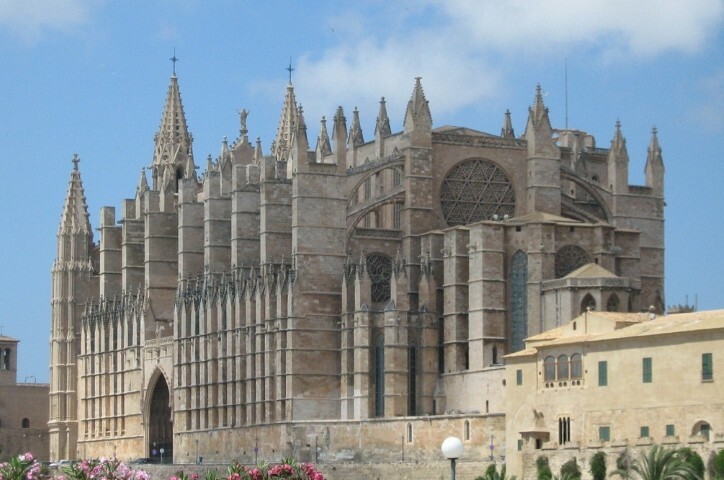 Palma was made the capital of the Balearic Isles in 1983, and took its new role seriously enough to refurbish crumbling buildings, revamp old boulevards and develop lively shopping areas. As the site of the island’s only airport and ferry port, it’s a good initial base, and worth at least a day’s exploring. The old city walls still enclose the main action, as well as the impressive cathedral (500 years in the making), which towers over the Old Town. 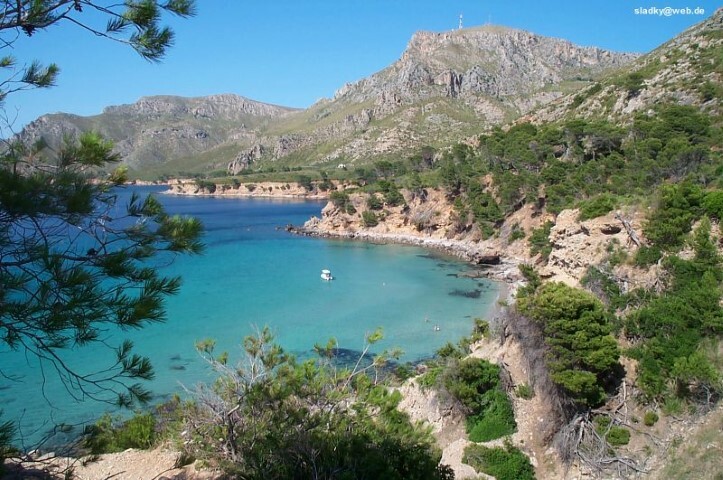 Just about anywhere in the west or centre of the island is accessible from Palma, and the Sierra de Tramuntana mountain range is just one worthwhile excursion. Extending the length of the island’s northwest shore, it offers scores of hiking trails suitable for all levels of fitness. On the northern side of the range (and the island), Pollenca town still manages to remain pretty quiet. It is probably best known for its Via Crucis(Way of the Cross), leading north of the town. This steep stone stairway flanked by cypress trees climbs to a holy statue of Our Lady (at the Foot of the Cross); the views from the top are amazing, as is the torchlight procession that takes place each Easter. Over at the neighbouring Port de Pollenca, a resort has developed — thankfully at a slower pace than its Palma cousins – and behind the marina it is still possible to discern the town’s humble fishing roots. If you head south down the coast towards Alcudia, the beaches get less crowded. Alcudia balances between two strips of land separating two large, sheltered bays, and was once the capital of the isle, still boasting preserved remnants of its Roman past. 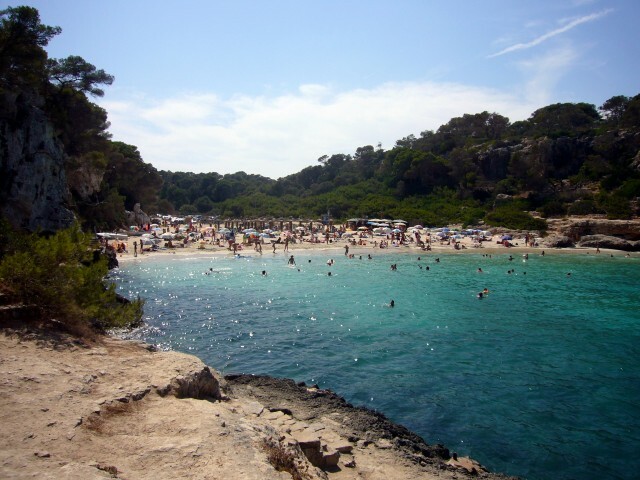 Just two kilometres south, the noisy action centres on its port —Port D’Alcudia, which also offers a decent spread of golden sand, and is sprinkled with attractive pines. If sedate activities are not on the agenda, head to Magaluf, just south of Palma. Here the club scene is brash and loud, and is best tasted at the BCM Planet Dance, the biggest club in Majorca, which pulls in thousands of energetic partygoers (largely Brits, of course) each night. Wherever you’re based, Majorca’s relatively small size makes excursions easy. One especially attractive day trip with an intellectual twist is to Deia — home to the poet Robert Graves until his death in 1985, and now (less intellectually but more glamorously) to movie star Michael Douglas and cohorts. There’s also a mighty mountain that overlooks this small, labyrinthine town, and the nearby shingle cove (Cala de Deia) offers great swimming as well as a delightful stroll to get there (although the sunbathing can get uncomfortable). Some 20 kilometres southwest of Deia, the enchanting town of Valldemossa houses an impressive monastery (one of five on the island), which has become Majorca’s second-most-visited building after Palma Cathedral.